Since i hate to wear 3D glasses for 3D TV or movie, 3d glass haters were increasing i think and that's why this technology came alive now. 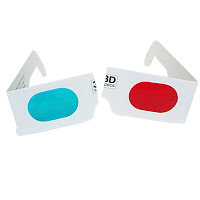 3D without 3d glasses, wow that's the cool one.Few brands have such gadgets like Nintendo 3DS a gaming gadget, LG optimus. But this technology now used only in small devices because of Parallax barrier tech in these 3DS. With this tech we can see the 3D effect from a view point only. But in the future this tech will hits the big screens. Toshiba Qosmio F750 is the first 3D laptop without 3D glasses, That's what they say and it is. This is the first of this kind. This is not a review of the product. Still this technology is in the beginning stage and guy like me do love this. I hope the tech will come flawless in the future. For now we have something to smile because we have 3D without glasses. Even I hate 3D glasses and that's the reason I don't have 3D TV. I wish it comes in TV, I know I am asking for a very thing, so that we can actually enjoy 3D stuff.